Well, I found a few bits, but it’s hardly my fault if there is no art out there, is it? I went and looked, and its the thought that counts, they say. What I did find is that the Liberty Statue has a cheeky grin. But the art was already there. All I did was see it with fresh eyes. And that doesn’t make it art. Does it? There were duck-trails through the algae in the canal, almost looking like the branches of a tree. Very pretty, but the random patterns created by Things Of Nature, with no sense of the Aesthetic effect they were having can’t qualify as art. Can it? 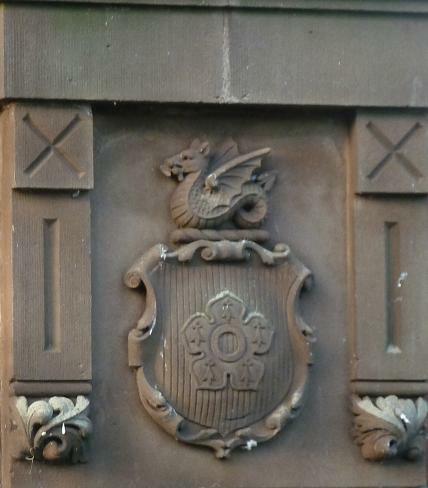 There’s a nice carving on one of the canal bridges: The Leicester Fleur-de-Leys, crowned with a Dragon (EDIT: The Crest of The Borough of Leicester takes the form of “A wyvern sans legs argent strewed with wounds gules, wings expanded ermine.“). Crafters Skill: Check. Pretty: Check. Functional: Check (It serves as an identifier). Historical Value: Check. now THAT is art! 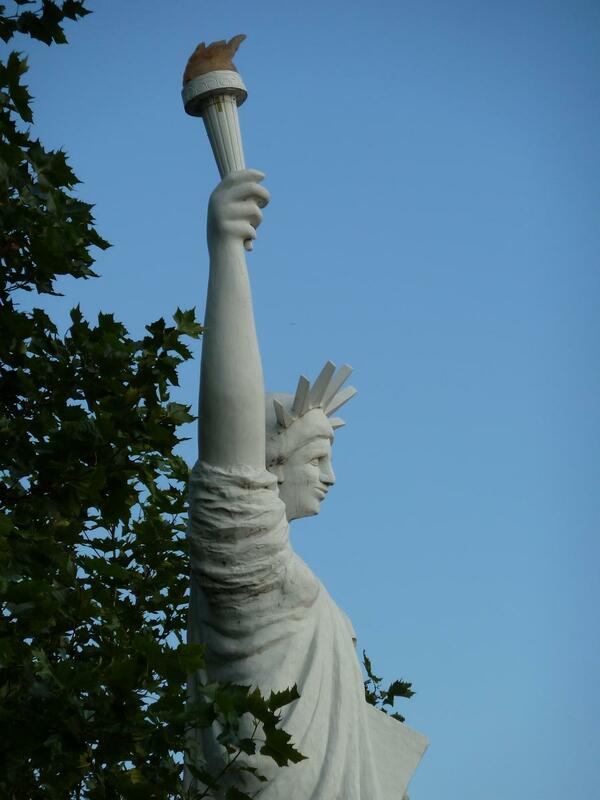 This entry was posted in Art and tagged Art, Liberty, Wyvern on September 4, 2013 by The Crystal Wizard.